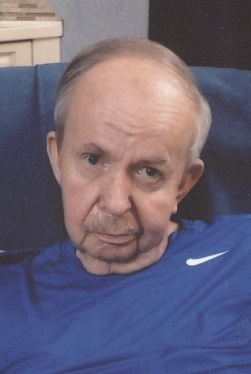 Richard Hugh Hayden, 75, of Leawood, KS, passed away on March 6, 2019 after enduring a long illness. Richard was the owner of American Box and Tape Company since 1975. Besides being a Royals season ticket holder for 40 years, Richard enjoyed attending Chiefs games, KU games, movies and art exhibits. He also loved golfing and boating in nice weather. He is survived by his wife Sue Hayden; son Vince Hayden (Lori); daughter Stacey Hayden; their mother Diane Hayden; and his grandson Carter. The family will greet friends from 9-10AM, with services to follow at 10AM, Saturday, March 30 at Park Lawn Funeral Home, 8251 Hillcrest Rd. ; burial in Memorial Park Cemetery. A celebration of his life will continue after the interment at Hillcrest Country Club, 8200 Hillcrest Rd. In lieu of flowers, memorial donations may be made to Harvesters Community Food Network, Kansas City, MO. Obituary written by wife, Sue Hayden. Visitation will be 12PM, with services at 1PM, Saturday, March 16 at Park Lawn Funeral Home, 8251 Hillcrest Rd. ; burial to follow in Memorial Park Cemetery.